green – Design Your Lifestyle. Out of chaos and terror, one of the most enduring symbols of America’s freedom, honor and values was born. The National 9/11 Memorial and Museum is a stunning work of art and design, crafted with care and remembrance as a lasting reflection of courage and heroism in the face of unspeakable tragedy. The National 9/11 Memorial and Museum sits on approximately half of the sixteen acres where the World Trade Center once stood, on Greenwich Street in Lower Manhattan. Flanked on its four sides by 1 WTC, 2 WTC, 3 WTC, 4 WTC and Liberty Park, the 9/11 Memorial exists to provide a solemn reminder of the past, a way to honor lives lost in the present, and sustainable, green design for the future. The 9/11 Memorial’s design was crafted by Michael Arad (architect) and Peter Walker (landscape architect), and chosen out of a pool of over 5,200 entries from designers in 63 nations. Arad and Walker’s design was chosen for its careful blend of sustainable green design, aesthetic beauty, and its capability to properly display and honor the names of those who lost their lives on September 11, 2001. Rainwater will be collected in storage tanks below the plaza surface. A majority of the daily and monthly irrigation requirements will be met by the harvested water. The project is pursuing the Gold certification in the U.S. Green Building Council’s LEED for New Construction program. LEED is a third party certification program for green building, design and construction. The plaza is also built to meet requirements of New York State Executive Order 111 and the WTC Sustainable Design Guidelines, which both promote environment-friendly practices. The Memorial is perhaps most notable for its massive waterfalls and reflecting pools, each sitting in the footprints of the original World Trade Center buildings. The twin reflecting pools sit at the base of the largest man-made waterfalls in North America, and each spans nearly an acre. Those familiar with history will remember the “precursor” 1993 attack on the World Trade Center, and the National 9/11 Memorial and Museum’s designers were careful to include the victims of that tragedy in their remembrances. The names of all those lost in the 1993 WTC attack, the 2001 World Trade Center bombing, the attacks in Shanksville, Pennsylvania, and the Pentagon are listed in enduring inscriptions on bronze panels around the edges of the two memorial pools. Perhaps the most poignant natural feature of the 9/11 Memorial is the Survivor Tree, a Callery pear tree that survived at the site of the 9/11/2001 attack. After being rehabilitated by the New York City Department of Parks and Recreation, the Survivor Tree was re-planted at the National 9/11 Memorial and Museum, where it stands as a living monument to endurance, life and resolve. The National 9/11 Memorial and Museum is dependent on your tax-deductible donations. Please consider a donation, a sponsorship of a paver or cobblestone, or any amount you are able to give so that this stunning example of honor and remembrance in design lives on for future generations to visit. Color design lovers, prepare for an explosion of color in Spring 2018! Pantone has released its Spring 2018 color palette that offers 12 bold color choices, as well as a “Classic color palette” that presents another 4 selections. In this article, we’ll focus in on the 3 brightest colors in the Pantone Spring 2018 color palette, and what makes them valuable to your design palette this season. 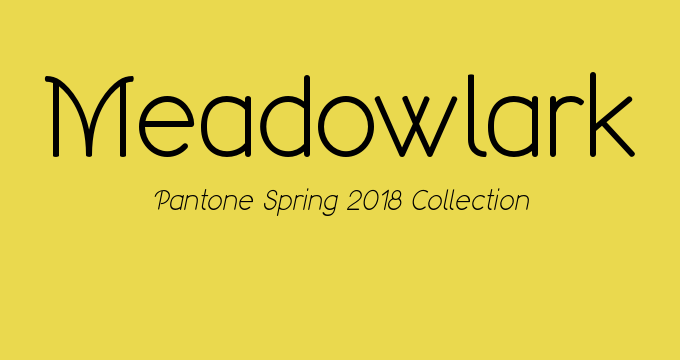 From a knockout green to a bright red-orange to a versatile yellow, these 3 Pantone colors will liven up your Spring 2018 designs in a big way! 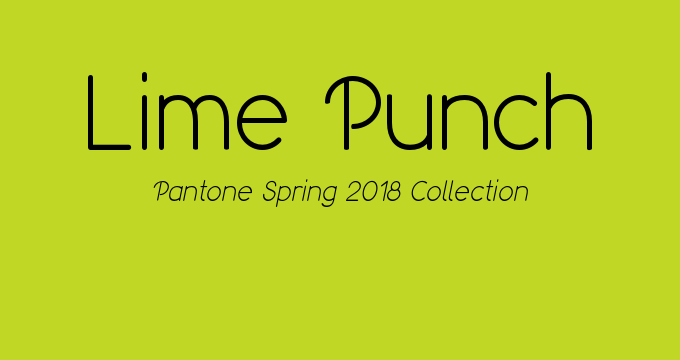 There might not be a more aptly named color in the Pantone palette than Lime Punch. An absolutely knockout neon shade of green, Lime Punch is the most in-your-face, unapologetic color in the Spring 2018 collection… and we love it. Many people will look at Lime Punch and instantly dismiss it as a “fashion design color only”. While that may be the case in a lot of circumstances, Lime Punch certainly has utility in home design as well. A splash of this hot green into a living space, beach home, or even a bath design can jazz up a design in no time. 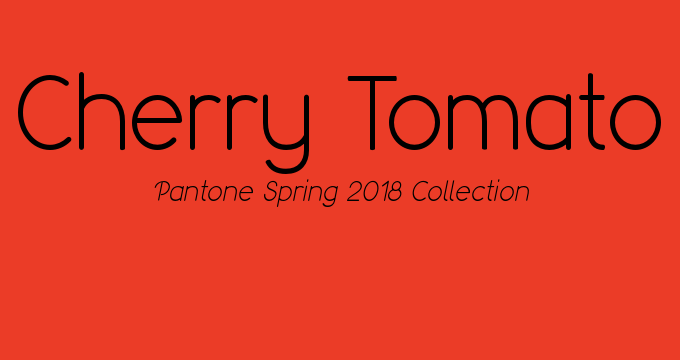 Pantone’s Cherry Tomato is the color of… well, a cherry tomato. Much like Lime Punch, it’s a perfectly labeled shade, a bright red hue bordering ever-so-slightly on orange. It’s a zesty shade, and a definite departure from more conservative red shades in past Pantone seasonal palettes. 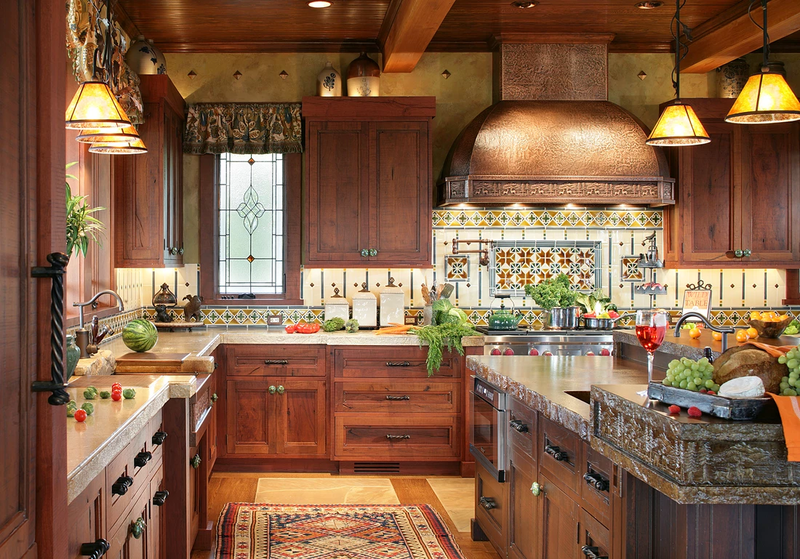 Cherry Tomato is naturally a dominating color in any design, so use it sparingly and wisely. More of a complementary shade than a primary design element, Cherry Tomato (when used properly) can be a fantastic way to spice up a kitchen design or living area redecoration. We’re not sure if the name of this yellow is a tip of the cap to Meadowlark Lemon, renowned member of the Harlem Globetrotters. Perhaps it’s just reflective of the bright yellow breast of the Meadowlark itself. Either way, this sun-lit shade of yellow certainly captures the essence of lemon in its tone, and officially leads the charge of bright colors in the Pantone Spring 2018 color palette. Meadowlark is a versatile yellow – just bold enough to grab your attention, and just subtle enough to pair well with a variety of colors in your home design. A natural winner in kitchen design, bath design and any outdoor space, Meadowlark is a great way to bring some “pop” into the color of your home design without being overbearing. It’s bound (well, snowbound) to be a white St. Patrick’s Day for a lot of us, but it seems the worst weather has passed. So it’s time to put on your green and celebrate St. Patty’s with vigor and spirit! Hopefully, you’ve already been inspired to “green” your home design. This isn’t just a St. Patrick’s Day trend, but a real design movement based around green spaces and the selection of Greenery as the official Pantone Color of the Year for 2017. Now that your space is properly decked out for the holiday, it’s time to get your St. Patrick’s menu in order! As followers of Design Your Lifestyle know, we believe there’s no better place to turn for a great new recipe than Epicurious – in our opinion, the finest food and recipe destination on the Web. As usual, Epicurious has put together a wonderful menu for your 2017 St. Patrick’s Day festivities. From a simple slow-cooker pot roast to corned beef and cabbage, Epicurious has a delightful menu prepared for your St. Patrick’s Day guests. But believe it or not, our favorite Epicurious recipe for this St. Patrick’s Day isn’t even a main course. It’s a soup! And why wouldn’t we pick soup? After all, with much of the Northeast (and East Coast in general) stuck in an unseasonable deep freeze, there’s nothing better than a rich, hot soup recipe to warm you up and get you feeling the Luck of the Irish. So here’s a wonderful, hearty recipe for Green Pea, Asparagus, and Parsley soup from our friends at Epicurious (and specifically, contributor Rachel Beller) that’s sure to liven up (and warm up) your St. Patrick’s Day meal this year. For the rest of this awesome Epicurious recipe, click on over to the full recipe page on their site. Green Home Design Ideas Just In Time For St. Patrick’s Day! 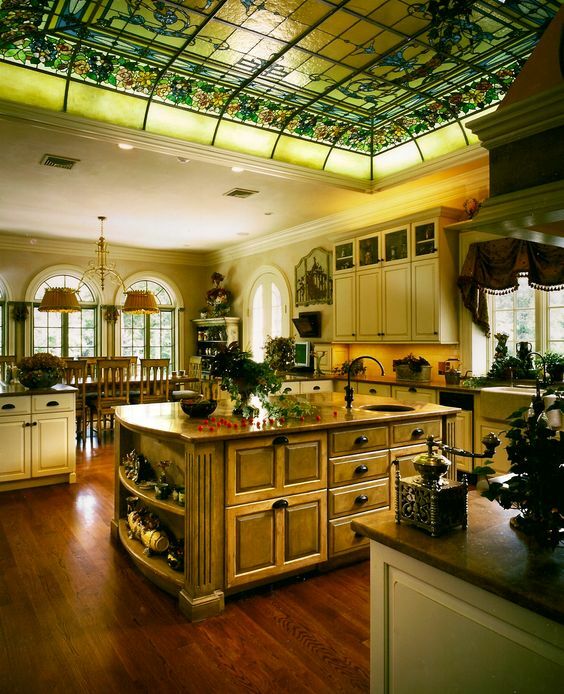 ‘Go Green’ With These St. Patrick’s Inspired Design Ideas! When Pantone (the world’s leading authority on color) announced Greenery as its 2017 Color of the Year, it was a signal of fresh, optimistic, natural design trends. The Spring 2017 Pantone color palette supported that notion, with fresh floral colors, natural tones and inviting blues warming things up for the design year ahead. And with two of the “Spring 10” colors being shades of green, Spring 2017 is truly time to “turn over a new leaf” in your home design! 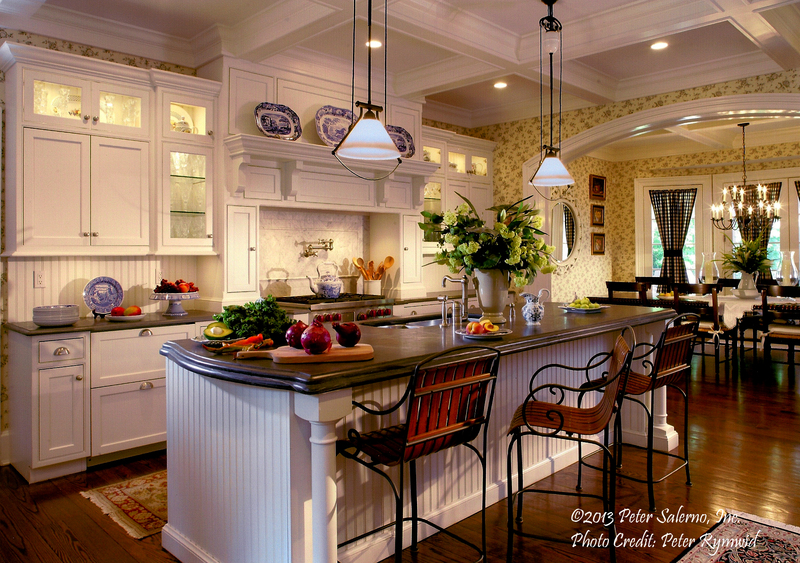 There’s no better excuse to add a splash of green to your home design than St. Patrick’s Day! From fresh-cut greens and floral arrangements to shades of green paint and decor, adding some green to your home design this March is both trendy and fun. With Pantone’s color recommendations for 2017 and St. Patrick’s Day in mind, here are 5 great shades of green from the Pantone color system, and ideas for how to utilize them in your home design. Greenery, the 2017 Pantone Color of the Year. Why wouldn’t we start right off with the 2017 Pantone Color of the Year? 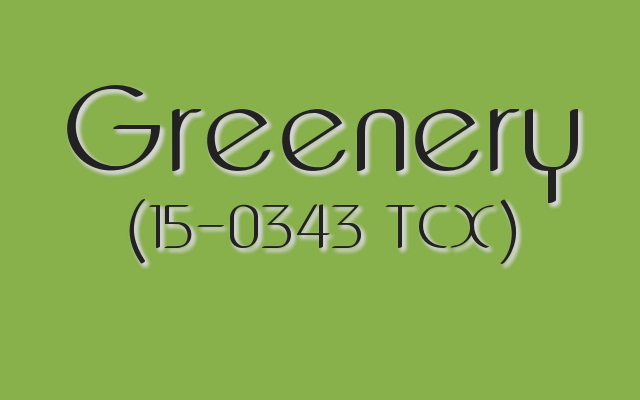 We like to refer to Greenery as a “Kermit” shade of green – fresh, sunny, optimistic and easy to work with. Evocative of a sunlit blade of grass, Greenery is a great option for a room in your home full of ambient light, windows, and neutral/white design elements. Kale is a dark, leafy green loved by many. Kale isn’t just trendy in the world of food – home, fashion and exterior designers all love the Pantone shade of Kale (18-0107 TCX) for its dark, leafy tone. Less grassy and more “ivy”, “fern” or “moss”, Kale is a great accent color for home decor, furniture pieces, and accessories like throws, pillows and potted plants. Try pairing Kale with a great Spring 2017 neutral like Hazelnut. Kelly Green might be the most quintessentially “Irish” shade of green. Perhaps the “most Irish” shade of green in the Pantone color system, Kelly Green is bright, friendly and adjacent to jewel tones like Emerald (see below). While Kelly Green isn’t quite the right shade of green to lead your new home design overhaul, it does make for a playful accent color. 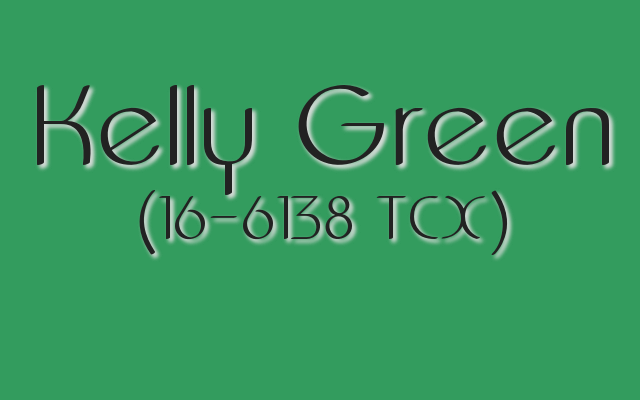 And if you’re decorating and designing specifically for St. Patrick’s Day 2017, Kelly Green is the go-to color for your St. Patrick’s Day party, gathering, or get-together! Thie foggy Pantone shade Silver Green could serve as an off-gray neutral. 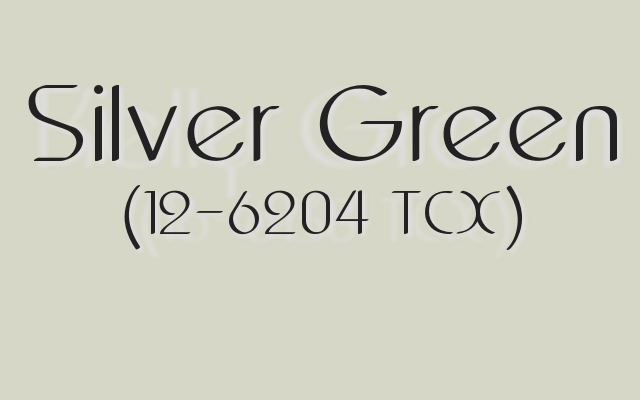 A bit off the normal path of St. Patrick’s Day greens is a potential hidden design gem in Silver Green (12-6204 TCX). At first glance, this foggy shade looks to be a light gray neutral. The green undertone in Silver Green makes it a wonderfully unique option for a neutral tone in home color design. This intriguing Pantone color adds that “natural air” to neutral that designers are seeking in 2017. 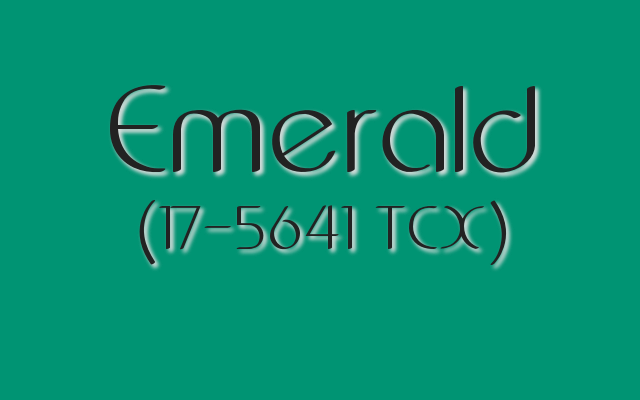 Emerald is a Pantone jewel tone green great for St. Patrick’s Day 2017 design. When in doubt, Emerald is one of the most popular Pantone green colors in recent memory. Jewel tones are always eye-catching, and Emerald was stunning enough to be named Pantone’s 2013 Color of the Year. 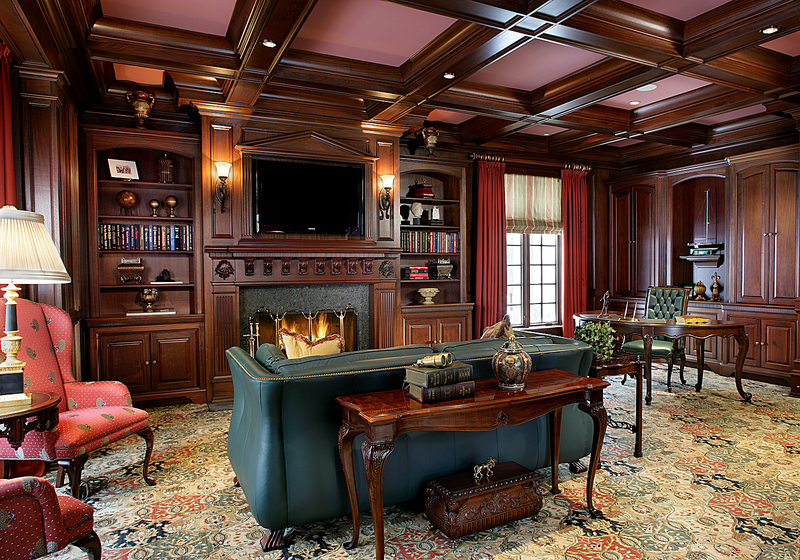 While Emerald is a bit more versatile in fashion design than home design, the proper use of this lush jewel tone in decor, artisanal pieces and occasional accent pieces can create a big style winner. In the end, it’s all about natural balance. The first 4 parts of our 5-part series on the wonderful Pantone Spring 2017 color design palette brought a bit of everything – from punches of pink, orange and yellow to bright greens and blues. Whether cool or warm, 8 of the 10 Spring 2017 Pantone colors are full of vibrant optimism and life. Our final two featured colors bring the entire Pantone Spring 2017 color series together. Branching from the “return to nature” theme indicated by Greenery, Pantone’s 2017 Color of the Year, our final two featured colors bring natural shades into the palette and balance it perfectly. 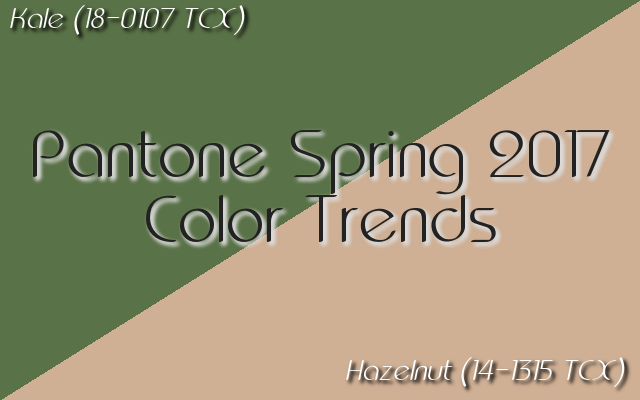 Pantone Spring 2017 color trends: Kale and Hazelnut bring us back to nature. 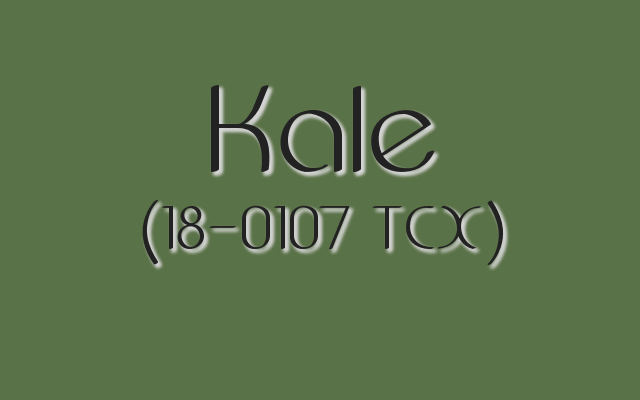 Kale (18-0107 TCX) isn’t just for the salad course anymore. From architectural design to wardrobe, home design to garden design, the kale craze has officially resonated with Pantone for Spring 2017. 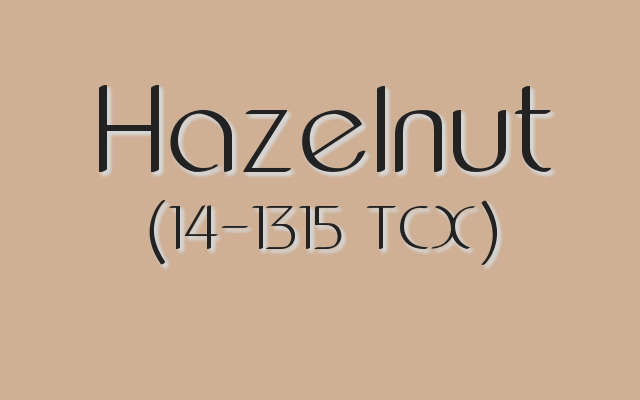 And the search for the perfect neutral to balance the Pantone Spring 2017 color design palette ends with Hazelnut (14-1315 TCX), a warm taupe that pairs well with virtually any color of the season. Let’s take a look at both colors individually in the final installment of our 5-part series on the Spring 2017 Pantone color collection. As a darker shade of green, Kale has to be explored to be appreciated. At first glance, it appears to be a drab green-gray – don’t make that mistake. Kale expresses a natural beauty found in plants, forests and gardens. Just as dark green vegetation signals an abundance of nutrients, the dark green of Kale signals a rich variety of design opportunities. Pantone Spring 2017 color trends: Kale is a dark, leafy green loved by many. 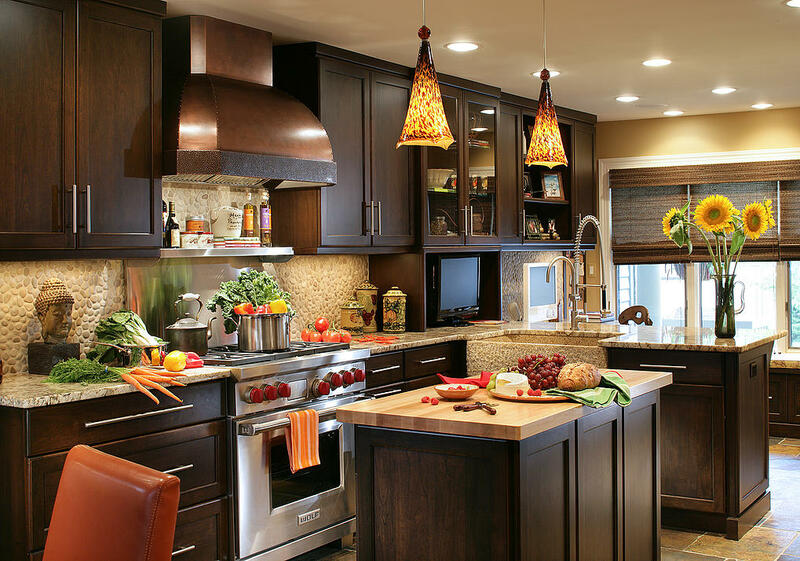 Using Kale in your home design is a great way to bring a natural feel into where you live. If you don’t want to work with neutrals, Kale is a great substitute to pair against many of the brighter colors of Spring 2017 (Primrose Yellow, Pale Dogwood and others). It also signals an invitation to bring more plant life into your home, in the form of mosses, ferns and hanging plants. While other colors may be more “exciting” in the Spring 2017 collection, none of them pair universally quite like Hazelnut. This “nutty neutral” is an astute selection by Pantone, as its innate warmth works far better with the bright shades of Spring 2017 than most others. From a broader perspective, Hazelnut also continues the trend of intriguing neutrals in design that began late in 2016. Pantone Spring 2017 color trends: Hazelnut is a warm, nutty neutral that balances the collection. 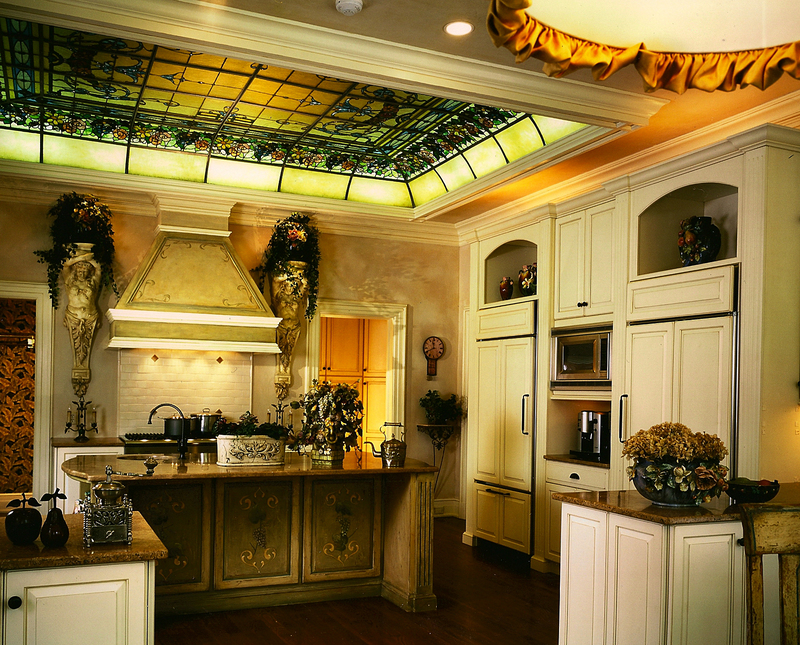 Put Hazelnut virtually anywhere in your home design. That’s not an overstatement. Neutrals aren’t relegated to a secondary role in home color design anymore, and the natural feel of this shade works beautifully on anything from wall paint to furniture, throws and rugs to bath tile. 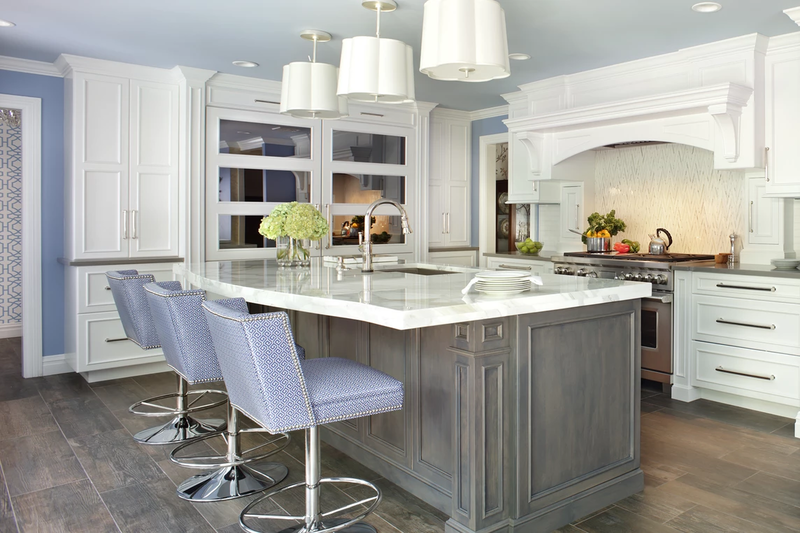 Sprinkle in some pops of bold, natural color, and you’re guaranteed a custom kitchen or bath design that will last. Of all the Pantone Spring 2017 colors, Hazelnut has the best chance of creating a lasting effect in wardrobe design. After all, a warm neutral pairs with virtually any color scheme. The reason Hazelnut stands above past Pantone neutral selections (Warm Taupe, Iced Coffee, etc.) is its versatility – the ability to be warm while sitting in the background as a secondary color.